First off - congratulations! You are making plans for a special celebration, and we are THRILLED for you. Our mission here at Dishie is to encourage the authentic celebration of life through through tables reflective of the unique heart & heritage of each host - and we LOVE and are HONORED to come alongside you in your most special moments in life. We love being a helpful resource to our VIP hosts, and hope you may find the answers listed below to our most frequently asked questions helpful to you as you start your journey in planning this celebration. If you any any other questions that were not answered here, comment them below and we will make sure to add them in! XO! How does renting from you work? We LOVE working with our VIP hosts to design the most amazing tablescapes and dinners! First - connect with us either via our contact form, via phone call or text to (321)-2-DISHIE, via email at sheena@dishierentals.com, or even via a DM on social media! Either send us all your details, inspo pics, and a list of the specific pieces you'd like to book from our inventory, or, if you don't have quite that specific of an idea yet and would like some design help, just gush about how you want your wedding to look and feel like! We will reach out to you and work with you to build your complimentary design proposal, completely customized to your wedding design, theme, and menu needs. To book, we require a 50% booking retainer and signed service contract, with payment in full due no later than 14 days prior to the event; anytime after is subject to rush fees. What happens if I book and my attendance changes last minute/I need to make inventory changes? We totally get it - the RSVP struggle is real! This happens all the time, and we fully expect your attendance count to change as you get closer to your date! If there are any changes to the order, they can be made free of charge between date of booking and 14 days prior to the event, when final attendance count and payment are required. Do you deliver? What about set up? Dishie is a full service rental company, meaning we both deliver and set up our rentals to secure that we are leaving a table designed completely to the wishes of our clients. Simply put, the Dishie you book, is the Dishie you get, and our team works hard ensure this! We love partnering with catering companies and simply ask that our items are rinsed free of food and neatly stacked back in our provided bins - we will pick up at the end of the night and take care of all the washing. Easy peasy! We currently offer our services to the greater Central Florida area centered around Orlando and Middle Tennessee centered around Nashville. Can I pick the items up myself? If you have early access to your venue, we are happy to set up the night before and pick up the next day, but most events are same day delivery & pick up. For smaller, pick up orders, we offer a generous 72hr rental period. What happens if something breaks?! We get it, it happens! I can't tell you how many items I've accidentally booty-bumped and broken something - let's chat another time about I'm the most clutzy person I know and fell into owning a china rental company, k?! After that however, we will have to charge a replacement fee of $20 per damaged dish, $10 per damaged glass, and $5 per damaged piece of flatware. This is all covered in our service contract. Do you offer anything other than tableware? Most everything in our inventory is listed on our website, but we occasionally have new additions that haven't made it on there yet! Feel free to send us your requests! However our specialty and focus is tableware! We have a list a long list of besties who are awesome and provide a variety of services like planning, linen rental, furniture rental, custom signage, floral, etc. and would love to send our suggestions your way! Feel free to ask us anything. Do you participate in photo shoots? Photo shoots our are FAVORITE way to network and get to know like-minded industry professionals. We LOVE creating beauty alongside others, and love participating in styled shoots! However, they are also A LOT of work, so we are currently accepting a very limited amount of shoots per season. Your 50% booking retainer is non-refundable simply because those items have been reserved and unavailable for other customers on that date. However, we will always try to work with you on a case by case basis. Can I sell you my grandma/mom/aunt's china collection? We are not currently growing our vintage inventory, but maybe it's too pretty for us to pass up? Send us an email and we will let you know! Can I buy items for my house/biz from your collection? YES! Our vintage collections are not currently for sale, but we may are selling our Luxe flatware collections for wholesale orders! Let us know if you'd like a quote by sending an email to sheena@dishierentals.com. This year's Fourth of July tablescape is a combination of all of my favorite things: gingham, cupcakes, berries, and Dishie - of course. The sweetest little cherry on top is that it was featured recently on Southern Bride! We're just smitten! When Paige with Two Peas Designs tasked me with designing the table settings for this inspiration shoot, I knew I had to incorporate farmer's markets in some way. Our sweet little home in Winter Garden, FL is also home to America's Favorite Farmer's Market (fifth? year and counting!) and all of my summer memories for the last almost decade involve weekly family visits to the farmers market for lots of great produce. The result of this inspiration: BERRY BASKETS! They make just the cutest table settings, and are a perfect (and yummy) way to display your place cards (like Paige's cuties here)! These FLORALS by Flowers by Lesley are just so beautiful! I've been over the moon in love with anemones lately and these purple ones are stealing my heart. also love how this bouquet includes other complimentary colors - just because red, white, and blue are the colors of our flag doesn't mean they have to be the only colors on our table! G O L D // Our Magnolia Collection China was just perfect for this setting. Its clean lines and pretty edges did a great job of accenting the table, while letting the other pieces like those sweet flag cupcake wrappers and berry baskets take center stage. We also love how our Luxe Gold dipped White flatware added that pretty bit of white to the setting in an unexpected location! And the texture from our Ivory Scalloped Chargers still has us swooning. NEW & EXCITING // Hello Nashville! Announcing our 2nd Location & a GIVEAWAY SPECIAL! 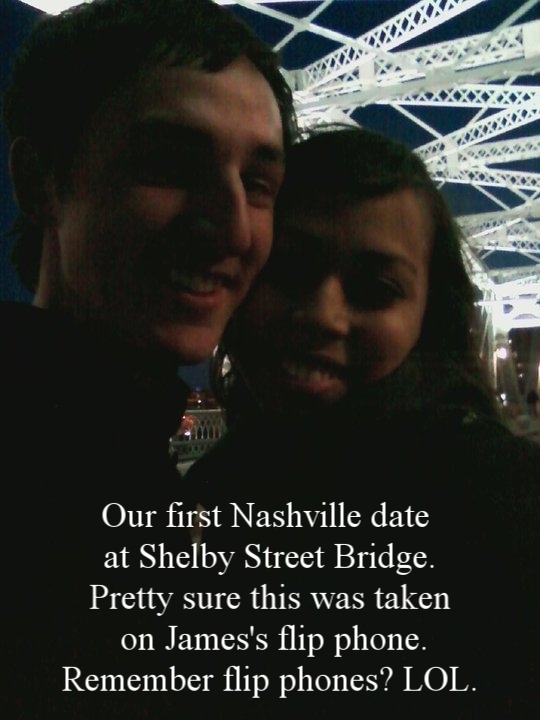 I fell in love in Nashville - it holds such a special part of my heart. About seven years ago, I moved to Nashville in the middle of winter for a post-graduate internship with Blood:Water Mission - an amazing nonprofit I love dearly. Around that same time, things sparks started flying with this boy I was getting to know, a boy who is now my husband, baby daddy, and love of my life. The early parts of our relationship were spent living that long distance life of weekends together in each other's cities every other month. The pull home to family was strong, and I LOVE the life we built in our little town in Florida, but I'm so excited to be opening Dishie's SECOND location in this beloved city of mine. I'm so excited about partnering with the friends we already have there, and creating some beautiful tables with all our Tennessee belles! We are now booking for the fall wedding season, but let's kick things off with a GIVEAWAY! GIVEAWAY!!! Like @dishierentals on Instagram and tag TWO friends in the comments to enter into our giveaway for a FREE head tablescape for up to 20! Settings include: 4-piece flatware setting from a Dishie collection of your choice and Salad, Dinner & Dessert Vintage Floral China settings for up to 20ppl at your head table! Good luck and HELLO NASHVILLE!